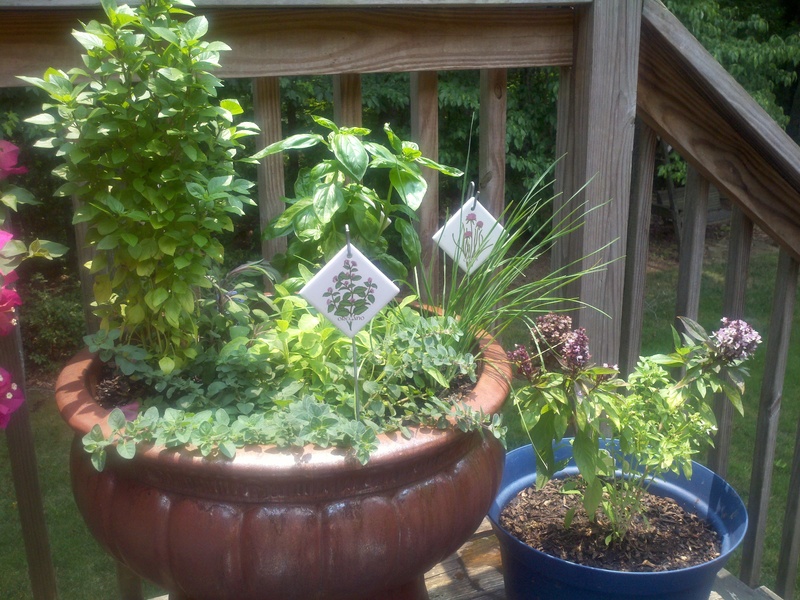 The 12 day heatwave of temperatures above 90º have not killed my herbs yet. Lightly watering every other day, I have been able to keep them growing and pungent in flavor. Two different Basil, two different sage, chives and oregano are all doing well. Make sure to pick off new white flowers on your basil plants as this will keep them growing by encouraging new growth.